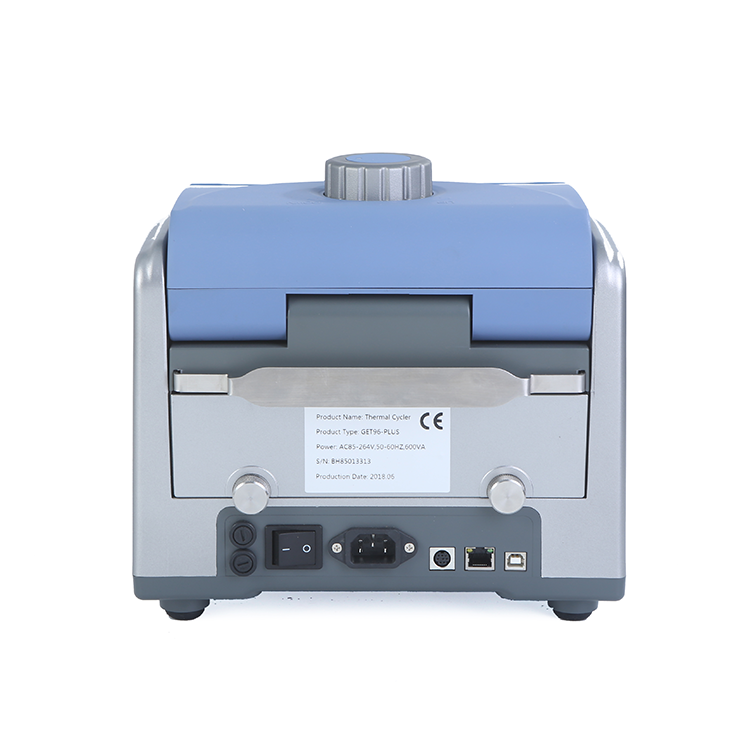 combines a variety of advanced technologies: WINCE system; color touch screen; 6 independently controlled temperature zones; PC on-line function; printing function; big storage capacity and support USB device. All above functions allow Intelligent PCR Machine`s excellent performance and meet higher experiment`s need. 2. Reinforced aluminum module with anodizing technology can keep rapid heating-conducting property and have enough corrosion resistance. 4. Stepless adjustable hot lid, fit tubes of different heights to avoid tube melt and evaporation. 5. Windows interface, 8" ( 800×600, 16 colors) TFT color touch-screen with graphical display provides easy use for setting up and monitoring. 6. Built-in 11 standard program file template, can quickly edit the required files. 7. Folder management, user can build directory. 8. The running program and left time can be displayed in real time, allow to edit file when program is running. 9. 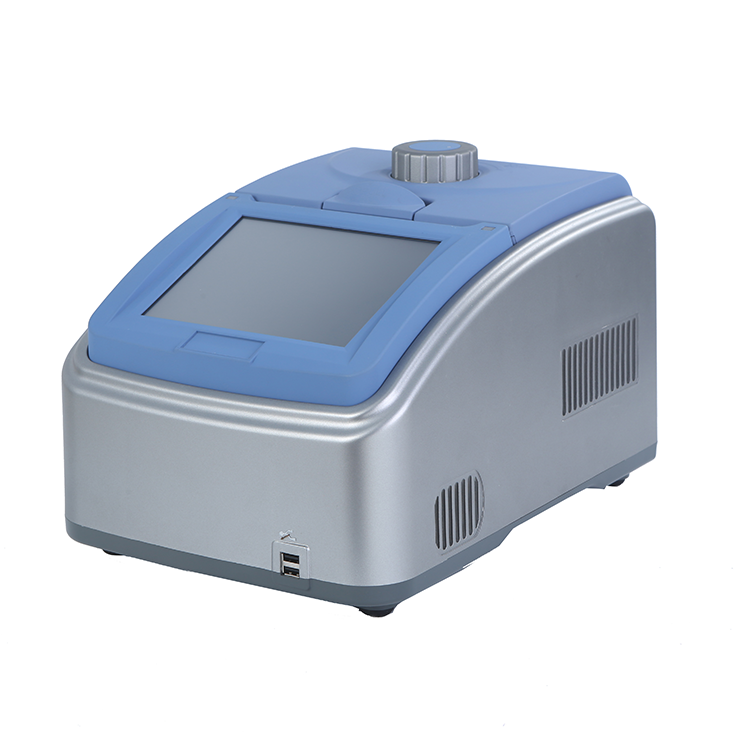 One-click quick incubation function can meet experiment`s needs such as denaturation, enzyme cutting/enzyme-link and ELISA. 10. 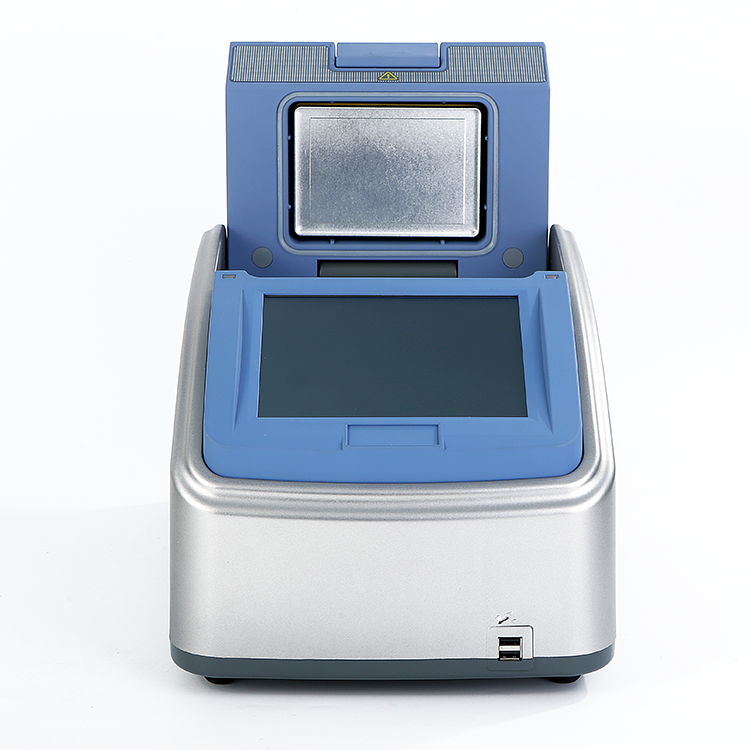 Internal flash memory for 10000 typical PCR files in free configurable folders. 11. 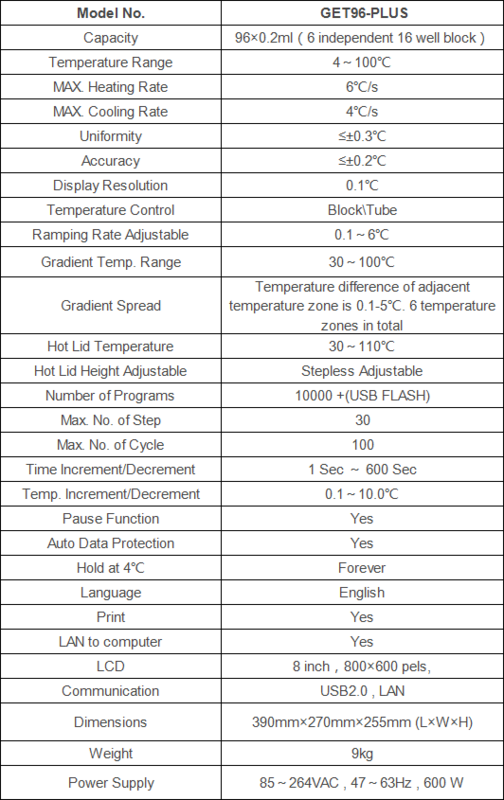 Hot lid temperature and hot lid work mode can be set to meet different experiment`s need. 12. Automatic restart after power failure. When power is restored it can continue to run unfinished program. 13. GLP report records every step to provide accurate data support for experiment result analysis. 14. User Login Management, three-tier permission, password protection function to ensure data security. 15. Compatible with devices such as Mouse and Keyboard and capable to transfer data and perform software updates via USB Drive. 16. Support USB and LAN to update software. 17. One computer can control many sets of PCR via network connection. 18. Min type Bluetooth printer as an option, easily record information. 19. Support email-alert function when experiment is over. 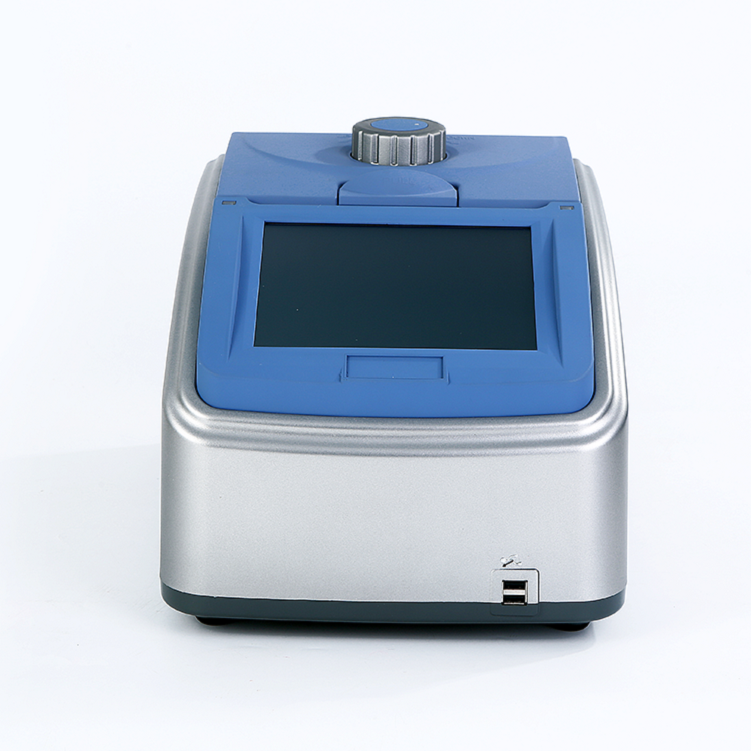 ZHENGZHOU MINGYI INSTRUMENT EQUIPMENT CO.,LTD is a professional PCR Machine Thermal Cycler, laboratory related product supplier. Based on many years experience on mainland business, now we build our own exporting company to offer more professional service for aboard customer. Here we can help customer to get the most suitable and economic product in most short time based on our professional knowledge. 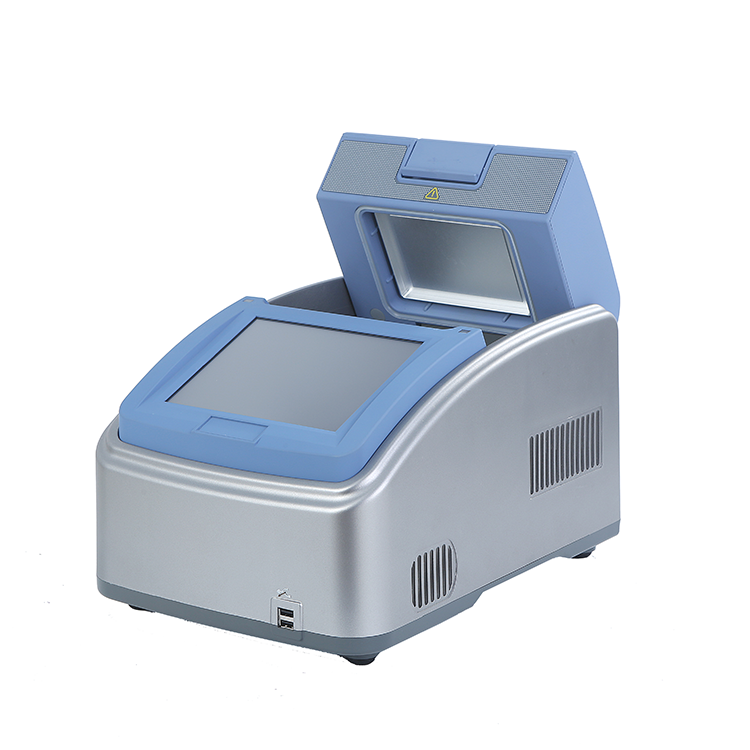 Looking for ideal Gradient Thermal Cycler Manufacturer & supplier ? We have a wide selection at great prices to help you get creative. 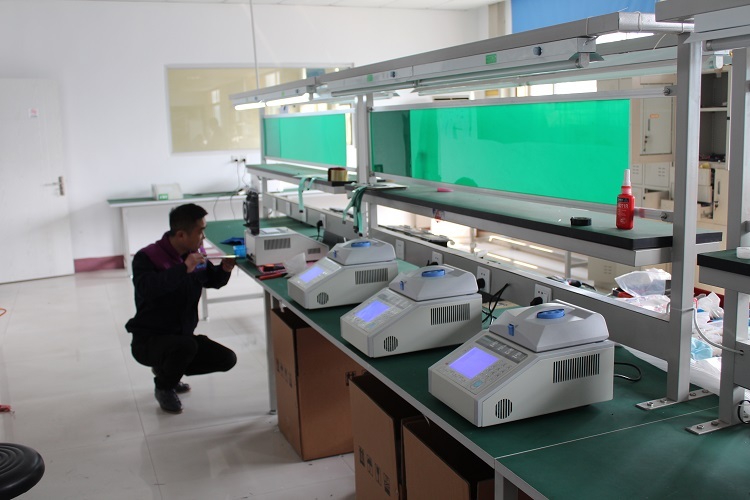 All the Thermal Cycler PCR are quality guaranteed. 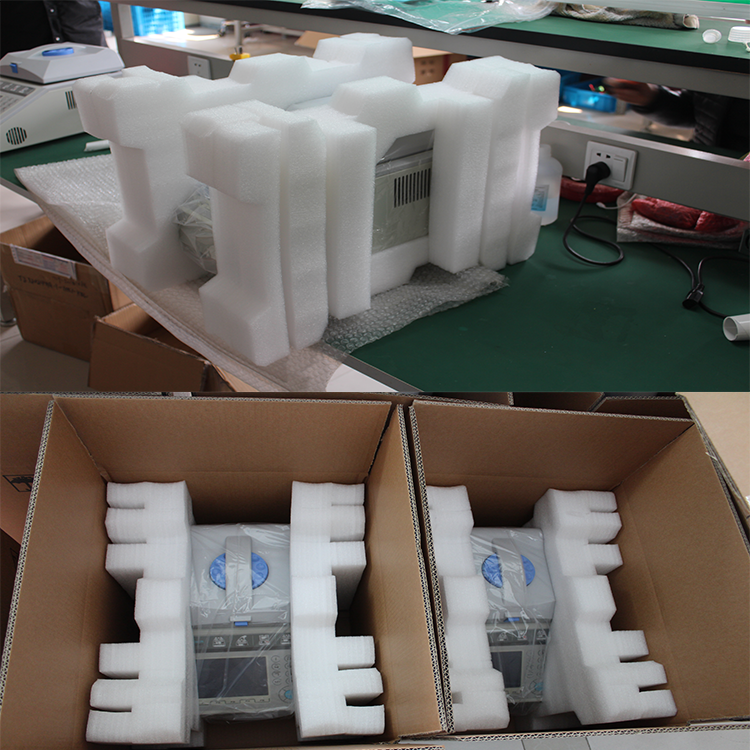 We are China Origin Factory of Thermal Cycler Pcr Machine. If you have any question, please feel free to contact us.